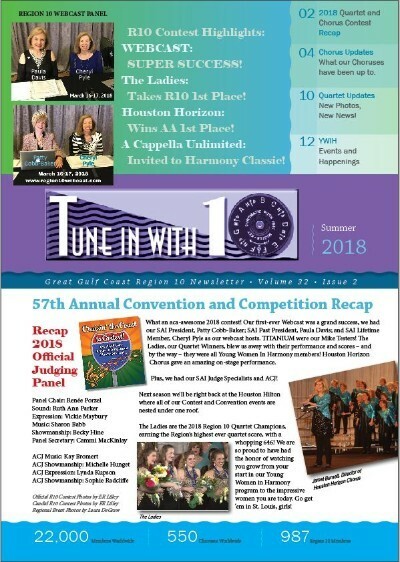 Crescent City Sound Chorus - 2018-07-13 - Chorus news item: Region 10 - Summer 2018 Tune in with Ten is Here! Region 10 - Summer 2018 Tune in with Ten is Here! TUNE IN WITH TEN IS HERE!